I get it. I know how you feel and I want to whisper to you that it doesn’t have to be this way. Let me introduce you to hygge. 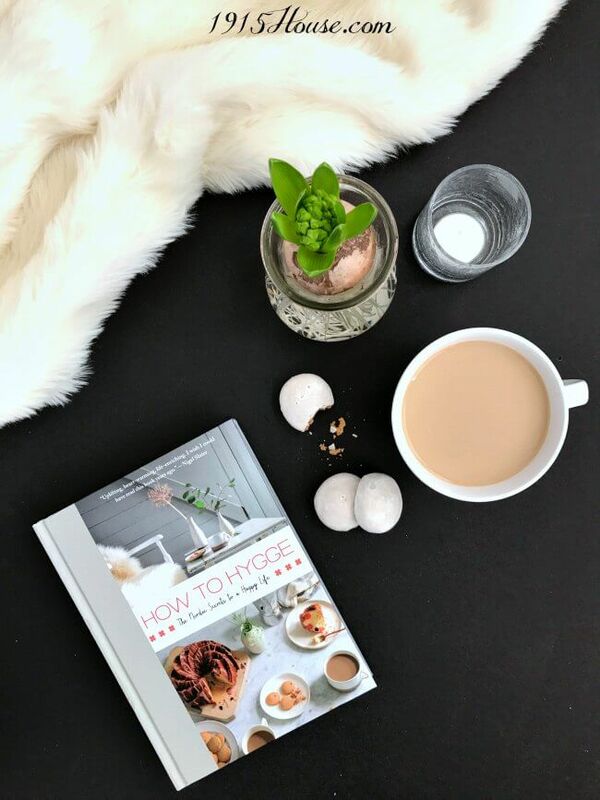 My first introduction to the world of hygge came via an instagram post by Jennifer Rizzo. I clicked through to her blog and was immediately entranced by her lovely post and this new-to-me word. Hygge. It was as if a lightbulb went off in my head and I felt a renewed sense of “maybe I could learn to slow down”! 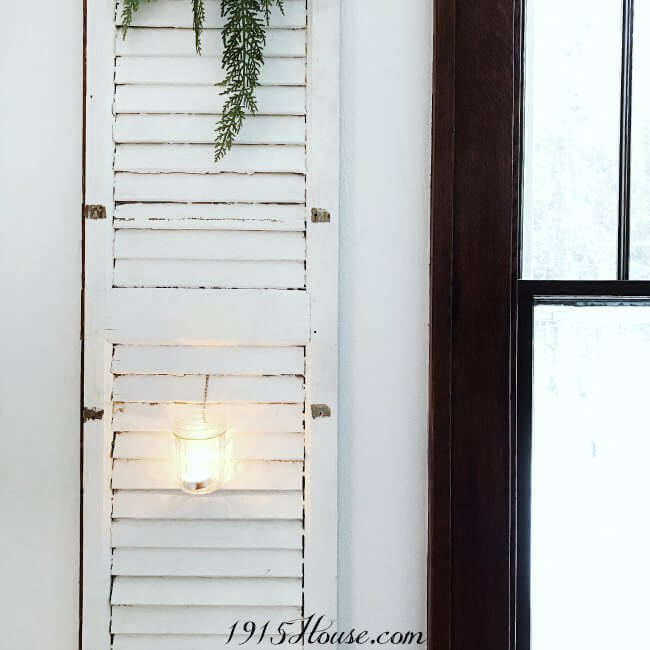 Jennifer’s post lead me to search pinterest for all the hygge articles I could find. I pre-ordered this book, “How to Hygge – the Nordic Secrets to a Happy Life” and impatiently waited for it to arrive on my doorstep. When the mailman *finally* delivered my book I was thrilled (NOT that I was stalking him through my living room curtains so I could rush out to the mailbox as soon as he was out of sight or anything). As soon as I found a few quiet moments (I hear you…what are those again?) 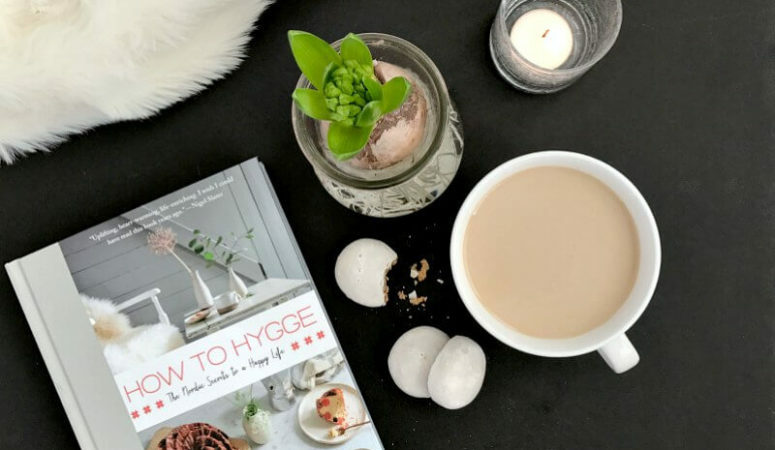 – I dove headlong into this book – eager to soak up all the hygge goodness. Being a very visual person, I enjoyed the softly lit photographs. Yes, I flipped through the book before I settled in to read it “for real”. What greeted my eyes was warm and welcoming and made me even more excited to learn more of this completely new concept. In our society of packed schedules, rushing, more, hustle, overflowing to-do lists, and constant running around, I was so ready to learn about this new/old way of doing things. One of the first things that stood out to me was that the author doesn’t immediately jump into the cozy throws and snuggly pillows. Instead, one of the first things she covers is *getting outdoors* – no matter the weather. Doesn’t that idea fly in the face of everything most of us hear over and over again? What’s the standing joke about when we are feeling low or down? – “go shopping!” or a “therapy shopping session”, right? But really, do any of us need another thing? I’m gonna go out on a limb here and suggest that we really have *need* of nothing. The simplicity of getting outdoors is a magnetic thought. I decide to give it a go. After a couple weeks of me walking local trails in my wool peacoat, I decide that if I’m really going to get outdoors as much as I’m hoping, then I need a *good* winter coat. One short afternoon search is all it took for Mr 1915 and I find the perfect one. Rated down to -20* F temps, this should do to keep me plenty warm. Add a pair of faux fur lined boots and I’m good to go. I’m happy to report that the gear really has worked wonders. Walking through the woods or trails has now become my favorite thing to do. Not even joking. 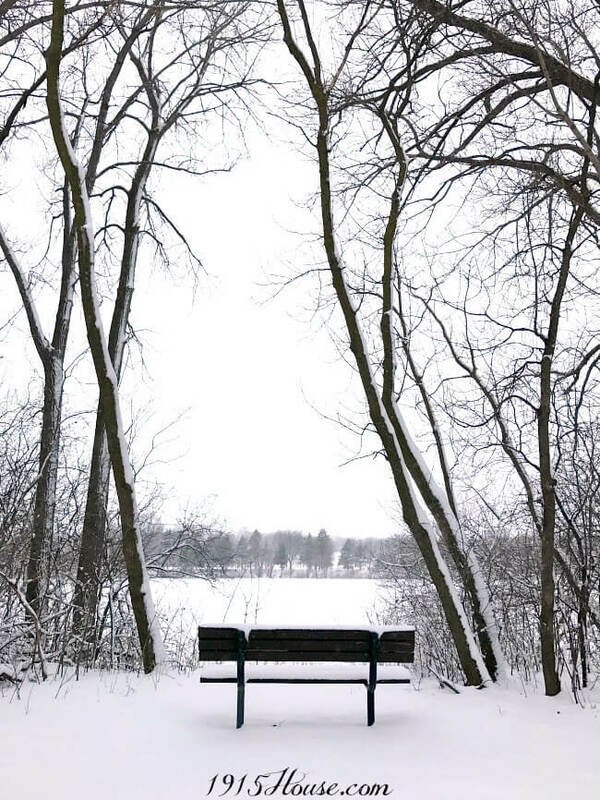 Me – the former “I hate winter” girl has fallen head over heels for Winter. Within minutes of beginning my trek down the wooded paths, I can feel the stress and tension melt away. Before long, there’s nothing but the sound of the crunching snow under my boots, the bare trees reaching their arms to the sky and a few happy Chickadees singing their winter song. A creek that runs through the woods isn’t frozen over and the water gurgles and giggles to itself. It’s so peaceful and quiet. I imagine this feeling to be completely hyggeligt. Ah, I realize – so THIS is what the book was talking about. A simple walk outdoors really does amazing things to clear my mind and it gives me time to quietly think and pray. This does not include inhaling a cookie and slamming a coffee in a paper cup between running errands, meetings, or shuffling kids back and forth to school and extracurricular activities. Proper Fika entails putting on the breaks. S L O W I N G D O W N long enough to sip a cup of something delicious (in a real mug, please) – actually taste and savor a small treat. Best taken with someone whose company you enjoy. Look them in the eye. Ask meaningful questions and revel in a little fika. 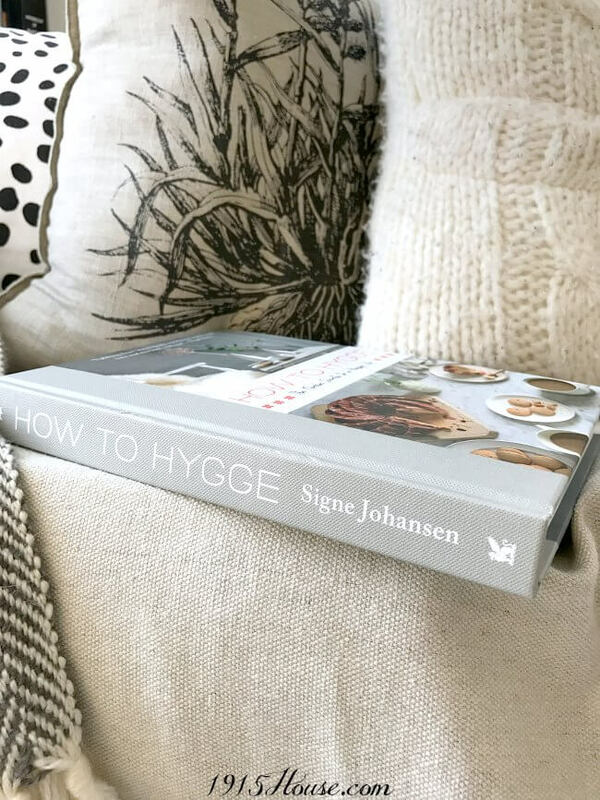 With remarkable experiences in the world of top restaurants, cooking schools and cookbooks, Johansen’s “How to Hygge” has a lovely emphasis on food. Understandably so. 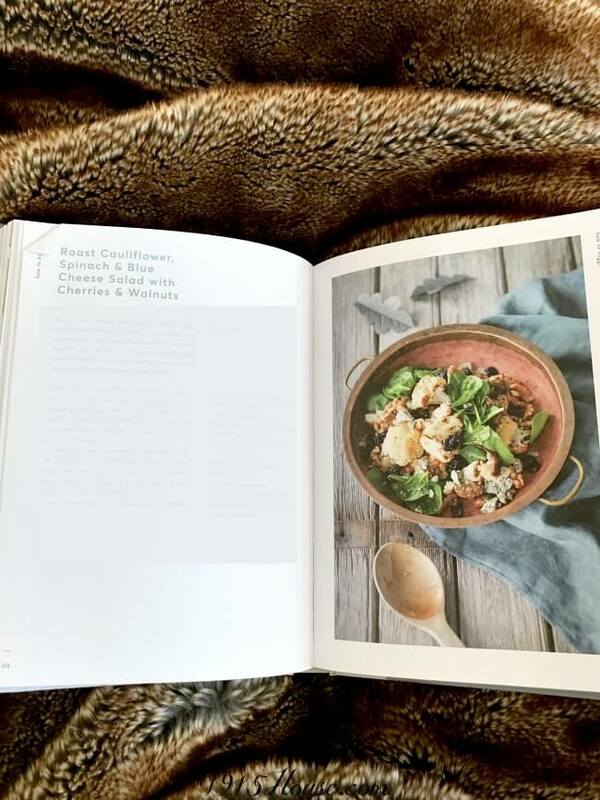 Since I love playing in the kitchen, and am usually open to trying new things, I was so happy to see the array of recipes included in this book. I think my favorite so far is the Roast Cauliflower, Spinach & Blue Cheese salad with Cherries and Walnuts. I made this one day for lunch and loved the play on flavors. Roasted, salty, briney, and sweet. A delicious balance and a meal I’ll definitely make again. While I talked briefly here about simplifying your home and how I’m implementing it into my own life, this book encouraged me even further to think more about the things I own. Do I love them? Do I use them? If not, then it’s time to let them go. Donate them so someone else can love and use them. Ultimately, this is the heart of hygge. I’m not going to tell you how this needs to look for your life. I think it’ll look different for each person. But consider what you own. What you really love. And lump the rest. Let it go. So, dear friend…before you get to The Edge. Before you have a nervous breakdown because of All the Many things piled on your List. Can I just reach out my hand to you and say “there’s another way”. A hygge way. I realize that means you’ll probably have to say “no” to a few things. And I know how hard that will be. But I also can tell you that it’s worth it. The work it takes to remove some stuff from your calendar means you’ll be able to slow down. To say this book has completely changed how I view winter (and life in general) sounds so cliche’. But it has. Over the course of the last couple months, I have grown to (dare I say it) LOVE winter. And lots of it has to do with what I learned and implemented from this book. I’m getting outside more – a LOT more – and I feel better for it. I believe my family has benefitted from it, too. We are all getting out and doing more outside – then when we get back home, we cozy up in front of the fireplace with warm drinks in hand and cuddly blankets for all. Totally hygge. We’re making an effort to turn off the electronics more and playing games around the table together. Winter doesn’t have to be a drag. You can make it a wonderful season. A hygge season. I hope my reveiw has given you some insight into this book and will help you in your decision of adding it to your own bookshelf. If you’re interested in more hygge book options, here are a few more for you. I’ve not yet read these, but have heard good things about them. Thanks for the awesome review! My favorite is “slowing down” we all need that in our lives! Thanks Anika! I’m glad you enjoyed it – the slowing down is my favorite, too. 🙂 Have a great day! This is super interesting Sarah! We all definitely need to slow down and savor each moment. That is why I do hot yoga 🙂 But I find Hygge very intriguing. Thank you for the great review! I agree Janice – slowing down is something we could all benefit from. So glad you enjoyed the review. Have a great day! Wonderful review Sarah! 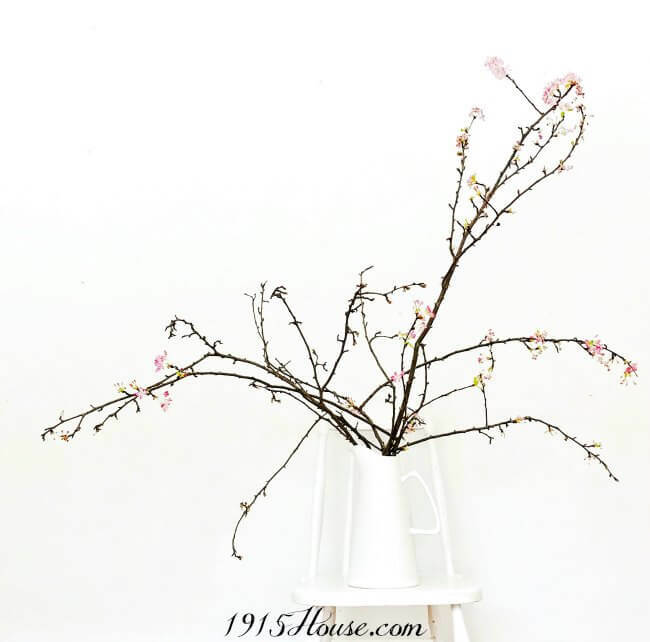 Slowing down and enjoying the simple things…what a wonderful lifestyle 🙂 After moving our daughter in and her two littles and having to rearrange so much stuff….I can definitely appreciate letting go of stuff!! I think I may order this book! You’re so right, Caris! The two go hand in hand and together, they create a lovely atmosphere. I’m so glad you enjoyed the review! And funny that we both love to watch for the mailman! 😉 have a great day!